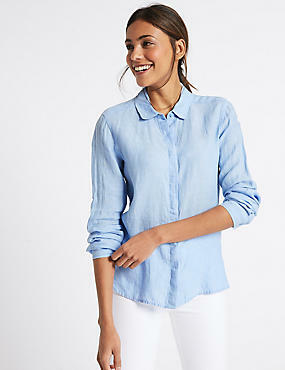 This Marks and Spencer shirt is beautifully cut in a lightweight linen. It is a flattering, pale blue colour (I bought the chambray colour), the collar sits perfectly when both buttoned up and down. 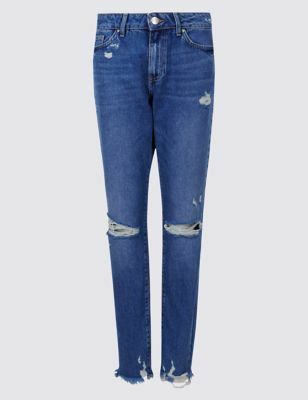 I sized down to a size 8, it is baggy enough for a slouchy look but easily tucks into my jeans without looking bulky. For £27.50 it is such a good summer buy, wear now with jeans or wear on holiday over a bikini to the beach.. The jeans are fab on..I went into M&S and tried on nearly every pair of jeans to find the perfect, flattering pair. These are M&S collection jeans with a mid rise which holds my tummy in and are a great height to tuck a top into. I sized down (to a UK8 regular), I am not going to lie I did squeeze myself into them a little and am now wondering if I would have just been better going for my normal size, so if you do get a chance try on both your normal size and a size down to see which are the best fit. They stop at the right place on my ankle and are great with both trainers and heels. 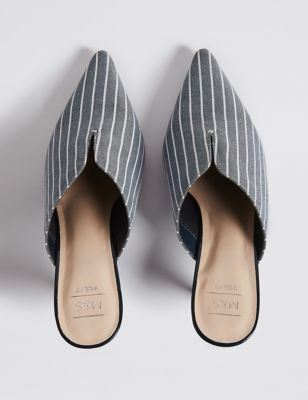 They are pretty distressed but work really well with a smarter top and heels for a dressed up/dressed down look.. The shoes are super comfy, they are wide fit although they are fine for my not so wide feet! Love them dressing up the ripped jeans and they will look great with dresses too. *This was written in collaboration with M&S, all clothing choices, styling and words are my own. I wonder if these jeans come in different leg lengths? The outfit looks lovely on you. She is beautiful for those who want to get a shirt like this can be seen at this site. This site is very good service and beautiful shirt too.